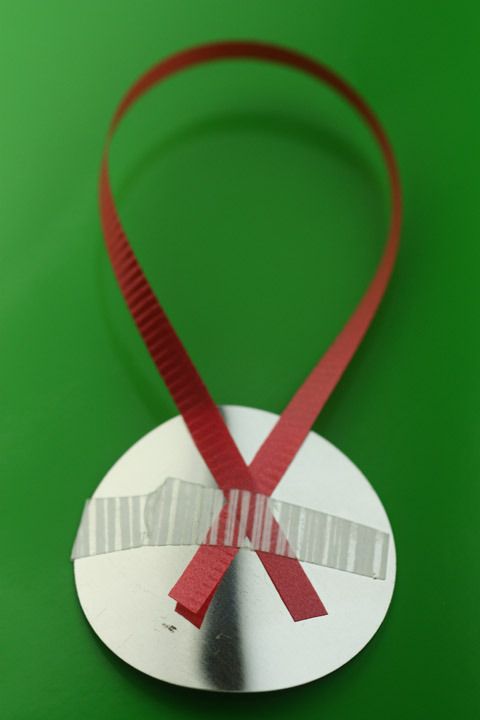 It’s amazing what you can do with a bit of ribbon or elastic and a button maker. As always with buttons you need a good design – regardless what you’re making the design is key. Most of your effort and energy should go into improving your design but once you have a good design, you can easily make ……..in this case Christmas decorations that can hang on your Christmas Tree. 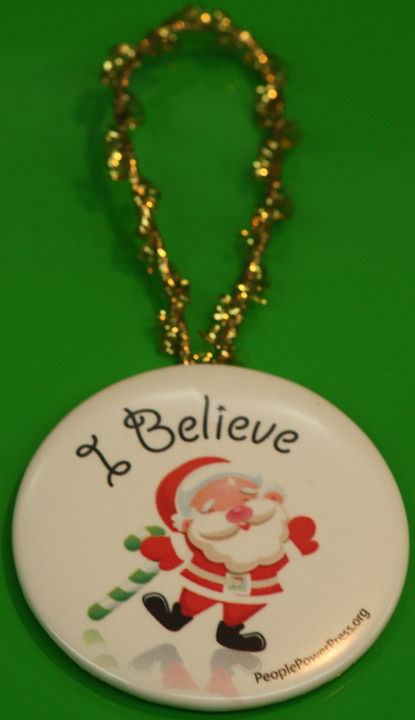 Firstly I chose to make mirror buttons with a Santa on the front. 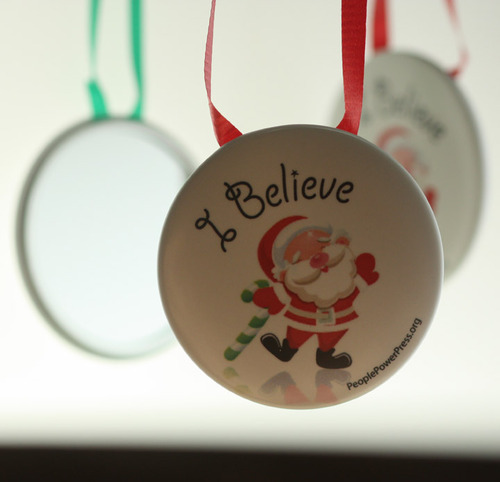 You could just use pin-backs or flat backs, they too will reflect the lights of the tree but I decided to use mirrors. 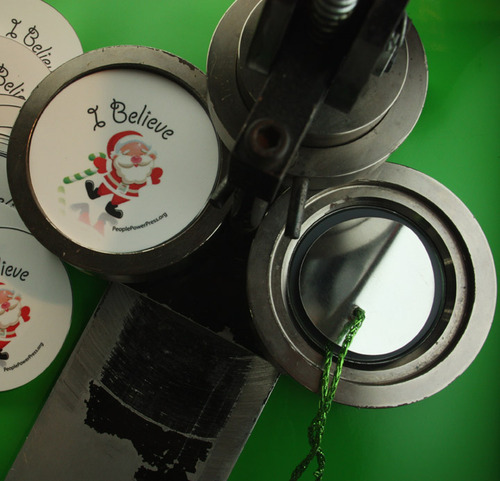 To make mirror buttons you need a 2-1/4″ button maker or larger. 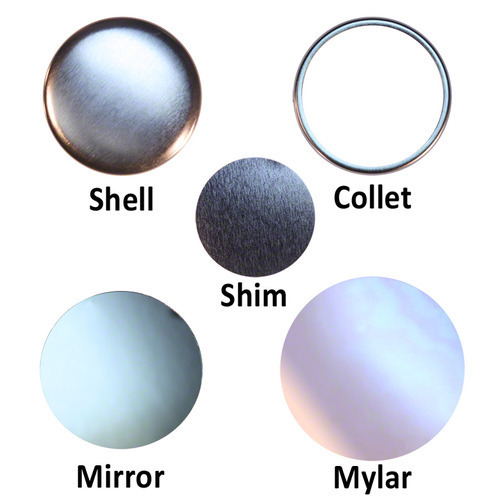 2-1/2″, 3″, 3-1/2″ all have mirror buttons as do 2″x 3″ and 2-1/2″ x 3-1/2″ buttons. Also oval buttons make great mirrors. 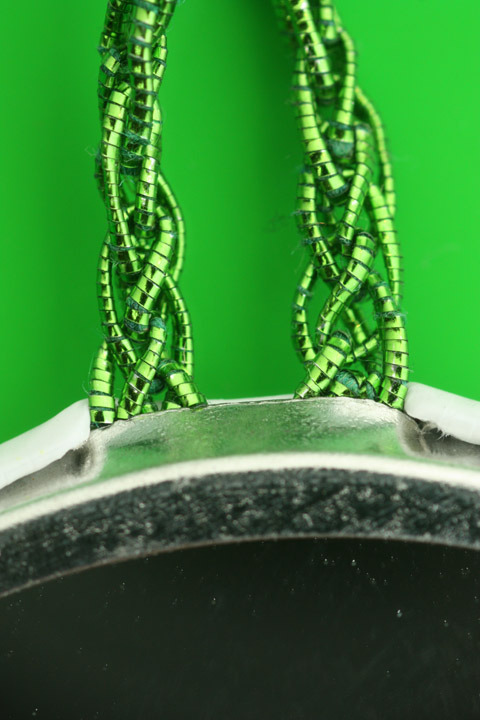 In the above example I made a hole in the shim and fed the elastic through. I had some issues with the metal shim cutting the elastic. I just made the hole with a pointed awl. But a lot of effort and not the best way. But if you want to get professional you could also use tabs and slot back buttons. 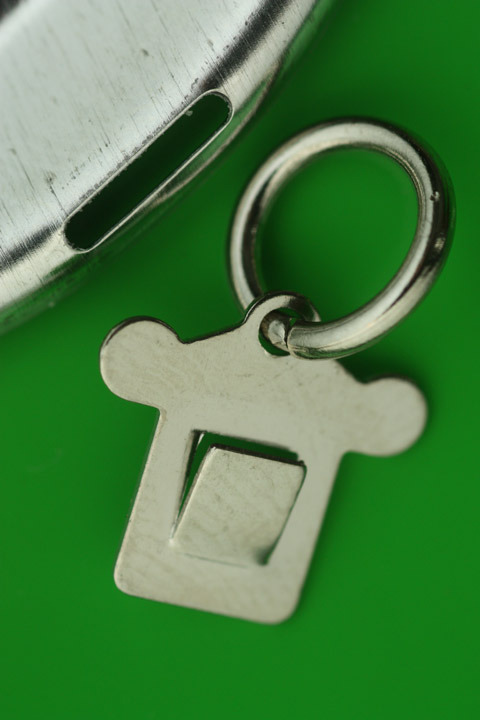 These are usually used for pendents or key-chain buttons. Slot back buttons are available for 1-1/2″, 1-3/4″, 2-1/4″, 2-1/2″ and 3″ sizes. You can even get 2-3/8″ slot backs for badge-a-minit button makers.